made some pretty astonishing revelations about what is happening currently to our planet regarding the influx of intergalactic waves of energy. Dr. Schein believes that maybe all of the cosmic radiation bombarding the Earth comes from outside of our Solar System. However, it appears that nearly all cosmic rays come from our own Sun–the only rays coming from outside of our System are possibly those consisting of high energy particles. The fact that too many electrons are showering down on us and present theories won’t account for them and the fact that certain cosmic rays bombard the Earth from outside our own Solar System tends to support the idea that our entire Solar System is entering a new possibility area of the Universe. Every phase of Earth life will be greatly influenced–Economics, Religion, Education, Politics, Science, Social life, Medicine, Eating habits, etc. Virtually everything will change, and for the better! They say that our entire solar system is moving into a new area of the universe and that cosmic ray bombardment will increase at a fast rate. Recently a very famous American physicist announced to the scientific world that the electron count has speeded up and that the cosmic ray bombardment was increasing at a tremendous rate and that present theories would not account for it in any way. He was very alarmed. His work did not get into the newspapers. It did appear in a few scientific journals and was immediately hushed up. But, if you look in some of the back issues of Science News Letter you will find the facts. The space people told us about this even before it was announced. The space people said that as we move into this new area of the universe there are going to be some very strange things take place on the physical, mental and spiritual planes. Peoples’ minds are going to change for one thing. Also, there will be tornadoes and earthquakes. Volcanoes that have never been active in recent history will become active and erupt. They also told us that under the new cosmic ray bombardment all falsity and hoaxes will pass away. We will not have to wonder, is this or that true. We will know! This is one of the mental changes that will come about. Sun: The Sun is the center of our Solar System, and all life that is on this Earth came from the Sun. If there were no Sun, we would not be alive. This is simply scientific fact. And so any changes that occur in or on the Sun will eventually affect every person alive. The solar activity is the highest recorded in the past 8,000 years. Mercury: Unexpected polar ice discovered, magnetic tornadoes, along with a surprisingly strong intrinsic magnetic field. Venus: 2500% increase in auroral brightness (more oxygen) between 1978-99, and substantive global atmospheric changes in less than 40 years. Mars: “Global Warming,” huge dust storms, disappearance of polar icecaps. Also, clouds and an ozone layer have been detected since 1995. NASA declared global warming on Mars. Jupiter: Over 200% increase in brightness of surrounding plasma clouds. (Huge belts in the giant planet’s atmosphere have changed color, radiation hotspots have faded and flared up again, and cloud levels have thickened and dissolved, all while space rocks have been hurtling into it the gas giant.) Plasma torus not seen before 1974. Raging red thunderstorms beginning in 2008. The moon closest to Jupiter, Io, experienced 1000% increase in its ionosphere between 1973-96. Io’s surface became over 200% hotter between 1979-98. The moon, Europa, Is literally glowing since 2003. The moon Ganymede is 200% brighter as noticed between 1979-95 while its atmosphere became 1000% denser. Saturn: Major decrease in equatorial jet stream velocities in only 30 years, accompanied by surprising surge of X-rays from equator. Saturn grew a plasma torus which became enlarged by 1000% between 1981-93. A new and larger plasma torus has just been discovered as well. An aurorae appeared in Saturn’s polar regions in 1995. In 2004, massive x-ray emissions were also detected near the equator at the 19.5 degree point. In 2011, a massive solar storm encompassed much of Saturn’s northern hemisphere, causing an “unbelievable” temperature spike. Additionally, Saturn has 100x more ethylene gas than previously thought possible. Earth: Substantial and obvious world-wide weather and geophysical changes. Earth’s Axis has changed. On Earth, the overall volcanic activity increased 500 percent from 1875 to 1975, while the earthquake activity has increased by 400 percent since 1973. Dr. Dmitriev says that comparing the years 1963 to 1993, the overall number of natural disasters — hurricanes, typhoons, mud slides, tidal waves, etc. — has increased by 410 percent. Additionally, MANY people have noticed a significant change in the color of the sun, which has gone from an egg yolk yellow to a bright white light. Regarding Williamson’s remarks in the 1950’s, we have since seen a number of events and incidents that have corroborated his material. For example, in 1952, there was a mass UFO sighting over the White House in the United States, showing how our extraterrestrial neighbors have been ready for an official “First Contact” for over 60 years. In the 1960’s, we witnessed an incredible shift in consciousness through the peace and love movement that culminated in 1967 during the “Summer of Love”. In 1987, the Harmonic Convergence brought together tens of thousands of people who helped to usher in these new energies. While the Harmonic Convergence may seem “New Agey” to some, please keep in mind that we did not have access to material about some of the New Age practices and the channelings of some archontic entities. It is my firm belief that the Harmonic Convergence was done with honest intentions and greatly magnified the current spiritual movement to where it is today. 2012 marked the end of the Mayan Calendar as well as the completion of the 25,772 year cycle known as the Precession of the Equinoxes. While some people have stated, “nothing happened” in 2012, MANY others have either witnessed or experienced nominal societal and spiritual changes on the micro and macro levels. These changes could very well be attributed to the incoming intergalactic waves of energy that have been transforming our entire solar system. The proof is all around us, literally! Massive changes are happening to those who have the eyes to see them. Even the scholars who rely on empirical data cannot deny the interplanetary climate changes that not only affect our solar system, but us, as individuals. Just about everyone within this genre can literally feel as though we’re on the verge of something truly incredible, despite those in power trying to keep us living in subservience, control, and conformity through tyrannical and oppressive measures. Some people, such as Dr. Simon Atkins, believe that this year is the year that the intergalactic wave of energy begins to transform humanity, while others have predicted 2017 as the year of consciousness transformation. Personally, I cannot place a specific date on any of this. What my own discernment is telling me is that whatever changes are to come, they’re already happening. In my heart, I hope a complete transformation of consciousness happens in the literal blink of an eye, but my gut is telling me that it is like the change of seasons. It’s already begun and will continue to get stronger as each day passes. What I HOPE for is that we all become light beings or move into a higher dimension of consciousness. In the meanwhile, I can envision a world without the need for economic subservience and hatred toward other countries, as well as towards ourselves… where governments are no longer needed as a “Council of Elders” will work in humanity’s best interests. In this world, all suppressed technologies are revealed and catapult us into a way of living that will make today’s standards look like the Stone Age. Is any of this possible? YES, ALL of it is! Its levels are identifiable by use of a simple quality of consciousness itself, and the omniscience of consciousness recognizes and responds to that which has existence and is true by virtue of the fact of that existence. Thus, consciousness, like a mirror, impersonally reflects actuality, which is unchanged and unaffected by that process. Consciousness, therefore, does not “do” anything, but, similar to gravity, it provides the context out of which potentiality actualizes from formless to form, from non-experienced to experienced. A person’s LOC remains rather steady through the lifetime. Emotions come and go like the passing wind, but a person’s calibrated LOC is governed by specific energy fields in the nonlinear domain which generally doesn’t waver. Over the course of a lifetime, the average person’s LOC will change approximately five points (this is not a statistical derivation, but an average discovered through Dr. Hawkins’ kinesiologic research). However, it is possible for an individual (such as a spiritual aspirant) to have their LOC jump (or drop) hundreds of points in a single lifetime. There are ways to create coherent waveforms in your body that positively influence core parts of you associated with intuition and non-verbal communication. The main regulator of these abilities is your heart’s energy field. (8) Regular practice of creating coherent energy fields in the heart through techniques developed by HeartMath®, much like practicing to play the guitar or learning how to speak a new language, can be honed. And with regular practice, it becomes second nature. 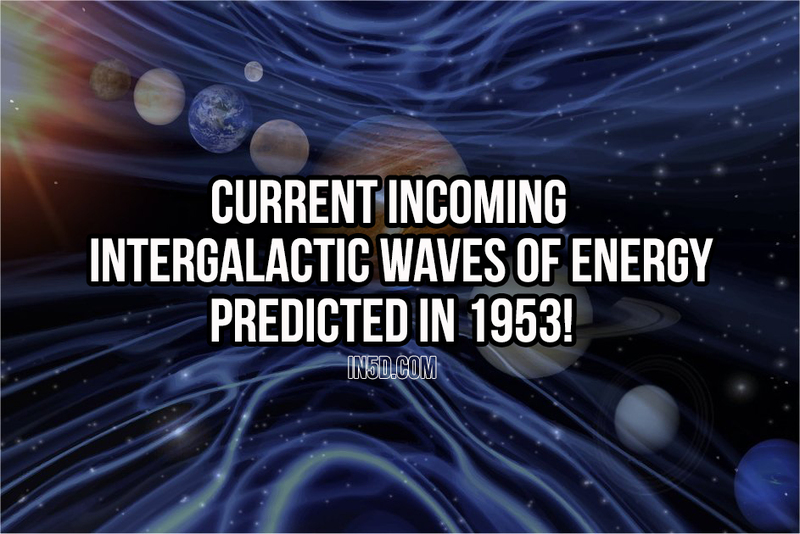 So what stabilizes all of these energy waves flying through our universe? The answer could be found in fractals, which create an efficient and structured energetic highway upon which to travel. Fractals originate as an alignment of repeating energy vectors that provide for a stable interconnectedness of all energy systems in the universe. Since these fractals are energetic in origin, and since energy influences matter, they leave their mark in matter by creating repeating patterns seen throughout nature. (9) These repeating patterns are also found in the human body serving as a reminder that we all originated from the same source, and we are all connected. The entire cosmos has an energetic influence on you as an individual. While the moon’s gravitational force stabilizes the earth’s rotation and influences the watery tides, lunar cycles also influence our bodies. (13) But gravitational forces alone cannot account for all of the moon’s effects on human physiology. While the exact mechanisms of how the moon influences human physiology is unknown, its scientifically documented impact does make us consider how other parts of the cosmos may also affect us. But Aura’s are completely out of the ordinary from what we think we know. They go beyond the limits of our physical linear 3D thinking mind….Why? Because they radiate OUTWARD AND INWARD!!! There is nothing linear about them. They are a WIGGLE. I’m sure a more scientific explanation could be bridged here… in fact, there is – STRING THEORY…. Energy is always in motion, consciousness is always creating. And thus, non-static, non-linear. It is permeating. Like an electromagnetic membrane that exists around your body and is the channel in which your emotions, thoughts, and other subconscious material flows. Think Wi-Fi. You’ve got this little physical box that emits an electromagnetic wave, which seemingly wiggles in all directions, emanating outward to be received by other little physical boxes which translates that data into something we can interact with on a screen. Except for the part where we ARE it. We’ve had that the whole time. It’s just that our receptors are turned off… And now we are turning them back on. So my point is, and to bring us full circle; We can describe the details the left brain of how it works all day long… but sooner or later, you’re going to have to take that data and relate it to the other half of your body. The part that listens.The part that feels. The part that is intimate, connected, and open to others. For all “others” are really just “anothers” when you really step back and think about it. We share space with each other, we share communion, wealth, health, beauty both real and completely false. There are not nearly as many axe murderers out there as hollywood would have you believe. People are not inherently dangerous, although there are dangerous people. Warped and jaded from their tremendous love being stifled in the root, the heart, and the crown by the cruelty and disconnection of the dark side of the human heart. Listening and Feeling is relative. Listening to what? Feeling what? Who are you feeling? Why are you feeling them? What are they feeling from you? Expand that out further to a trinity. You are feeling two different people with (potentially) two different emotional states. How do those states relate to each other, and how do each of them relate to you individually, or as a whole? This is something you can read about, but if you really want to feel what i’m talking about, make that space of communication with someone you know, or even if you meet someone new. You can practice it with strangers, but unless you fully engage in conversation and connection, you are only really using one half of your mind and one half of your body. You are watching, but staring from a distance doesn’t help talking to people unless it can be a bridge to get to the talking. But I always find that they are rather limited in scope as to what the aura could REALLY look like, and how it manifests in a light outside of our visible spectrum. I mean, the aura’s ARE the Chakras. There is no doubt in my mind that the two energies if there is any difference at all is really just the Yin and Yang of the same thing. Aura’s are often related to the external physical body where Chakras are related to the internal physical body. You could say its how energy comes in, and how energy goes out. But its all energy, and it all means something. And when someone gives genuine love to another and it is truly felt in the core of that person, it uplifts them and makes them feel amazing. When someone else shuts down from the world, and turns off the energy flow – all of the energy stops, and that too is felt on a vibratory level from those in their presence. An Aura is essentially a fancy way of describing the energetic fields around your body… if we can think of it like that, and expand our minds, hearts, and feelings to include all of each other instead of just ourselves…. well, we can break through some pretty big walls in a very short time, and everyone experiences the benefits. 1. Duality – A dual mode of perception: right-wrong, positive-negative, good-bad, should-shouldn’t, up-down, black-white. 2. Linear Time – The perception that time only moves in a straight line (one direction) and is experienced as past, present and future. 3. Rational Mind – The GPS of the third dimension. The analytical, reasoning thought processor designed to make comparisons, draw conclusions, store information, calculate, and make determinations. 1. Now Time – This is your point of power. Each now moment is a threshold to new beginnings and fresh choices. 2. Choice – The power to consciously choose to initiate something else in any moment. 3. Paradox – Contradictory truths. Something that was true a moment ago but may not be rue in the next now moment. 4. Alignment/Balance – A state of equilibrium which neutralizes opposing forces. Why did we choose the third dimension and not another? Duality does not exist in the higher dimensions and duality is an important part of what we wanted to experience. Our explorations took us may places but as we went deeper into density we eventually found ourselves playing in the slower vibrations of the world of form )matter). Here we could delve into cause and effect and discover the results of our choices and actions. Here we had free will to explore the most divergent ranges of frequencies (including fear, hate, anger, betrayal, etc). When we signed up for this adventure we did not know that we would become immersed in it or that we would forget who we are, where we came form, why we came, and how to get back Home. We now have an opportunity to remember who we are and return Home. Jim Self Featured on the Virtual Light Broadcast many times since 2009, Jim is often introduced as a teacherâ€™s teacher and a healerâ€™s healer. He has been leading seminars and teaching healing, clairvoyance and higher dimensional energy management tools throughout North America since 1980. As an author of What Do You Mean the Third Dimension is Going Away? Jim’s Spectrum column includes excerpts from this book, his free tele-classes, seminars and his third upcoming book. Since childhood, Jim has had a conscious awareness and ability to remember his experiences within the sleep state. Over the last ten years, this awareness has expanded into relationships with the Archangels, Ascended Masters and Teachers of Light. The tools and information presented in the Mastering Alchemy programs are co-creations of these relationships. Jim walks with a foot in both worlds. At the age of twenty-six, he was elected to his first of two terms to the San Jose, CA City Council and later became the Vice Mayor. Before completing his second term, he was asked by President Jimmy Carter to be the Director of Governmental Operations for the Dept. of Energy. As an entrepreneur, he has successfully built and sold two corporations, and is the founder and current Board Chairman of a third. Just a note: this morning around 3:00 AM, there was a huge surge of new energy onto the scene. It has a clash with some of the older stuff hanging around, so you may have found your sleep disrupted or perhaps some very odd dreams. There will be more of this happening. It is a good time to journal your dreams. That will assist in seeing how the pattern is merging. This is a day for synchronicity, and if you are open to it, many things can become much clearer to you. This will happen through the symbols and signs associated with the synchronistic event/s. Things are happening on many, many levels now and while they can be read one way from a certain point of view, from another perspective there is a much deeper realm of meaning. You will understand what this means as the day goes forward. This is a day for being ready for whatever comes your way. This is not a time to react without first grounding and centering. It is important to have perspective today in order to see things as they are, beyond the illusion.